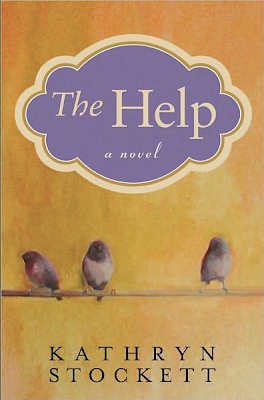 Tangled and True: the help. Have you read this book? What did you think? I've heard a lot of people that really liked it, and a few who said it wasn't their favorite. Would you recommend reading it? What have you heard? I would definitely recommend it. I read a lot of books, and this is one of my top books that I've read this year. I am reading it right now and am about halfway through. Some of it is a bit over sentimental and a tad contrived, but the story line is good a one and I really enjoy the descriptions of the south in the summertime. I keep thinking as I am reading that this book was written so it could be turned into a movie. Definitely worth a read, I am enjoying it. I loved it! I would definitely recommend it. It had me laughing out loud at times and honestly I almost cried a time or two, also. It was a great read. I thought it was a great book and was sad to turn the last page. My book club read this book and we all really liked it. It really lent itself to great conversation and perspective on our not so distant past! I don't usually read stuff from that era but this one kept my attention from the first page...highly recommend! LOVED IT! Fast page-turner, great characters. I couldn't put it down. A definite recommend. Loved it! Not life changing, just a good book. I would definitely recommend reading it. I wasn't thrilled with how it ended - seemed a little rushed - but I still thought it was a great read. I couldn't get over how recent it really was that things were like that. Important to remember those times and the things people had to do to make changes. yes, read it! it was a fave of mine last year. i don't buy books unless i know i'll read it again, and this one passed the test! it really opened my eyes to the situation of colored servants during that era. many of them spent so much time raising their employer's (white) children that they rarely had time to raise their own. Funny you should ask! Just heard Kathryn Stockett at my church here in Atlanta last night (she lives her now). She attracted 1500 women to hear her talk about the book! She was so witty and honest. I really liked her and it made me even like the book more. Dreamworks bought the movie rights and they start filming this summer in Mississippi. i read it and i really liked it! Definitely read it. It's a page turner and the first uplifting (ha!) book I've read on this topic. My sister just read it and enjoyed it. I don't know if it is "can't miss" reading, but she liked it. I just finished this a couple days ago and loved it. Once I started reading I couldn't put down. Just a good southern story. I'd recommend it. I've seen it but never been tempted to do more than walk on. Is it good? I love a good read. I don't normally go for the book that everyone is reading but this one is excellent. Great story, great topic. I'm about 3/4 through it and have enjoyed it so much more than I thought I would. Very enlightening and well written. I just finished it - definitely read it. There are a few women I know who didn't like it because they didn't like how the white mothers treated their children, but I think it's a part of history worth learning about. I LOVED it. thumbs up. i really liked it. Fantastic - must read! This should put an end to all those comments I hear about "the good ol' days". Thank goodness that era is over!! !